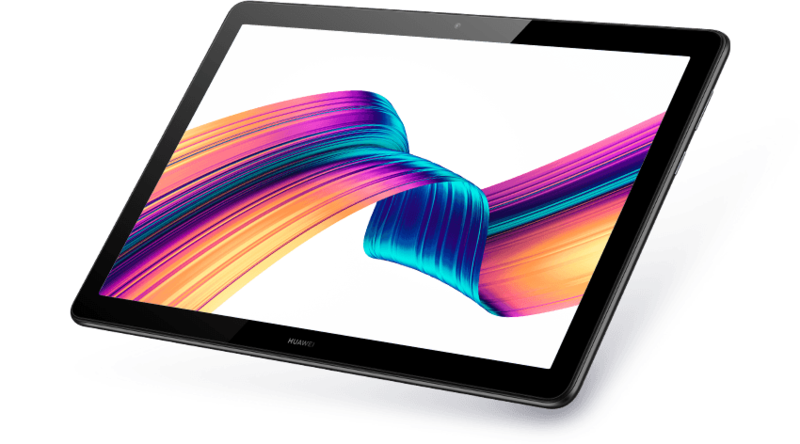 The HUAWEI MediaPad T5 is an eye-catching tablet with a premium, refined design. Its symmetrical metal body is crafted with care and is sleek and lightweight (about 460 g) enough to be conveniently portable and easy to hold. 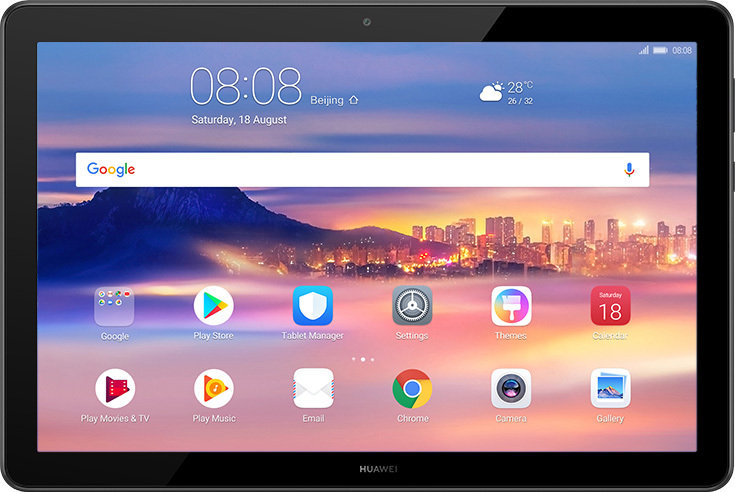 The HUAWEI MediaPad T5 comes with a stunning 10.1" display (1920 X 1200 resolution) that delivers excellent detail. The 16:10 aspect ratio makes it perfect for watching movies or TV shows and browsing websites. Dual speakers produce high-quality, robust audio for your favourite music. The HUAWEI Histen audio technology makes sound richer, giving you a immersive cinematic experience. 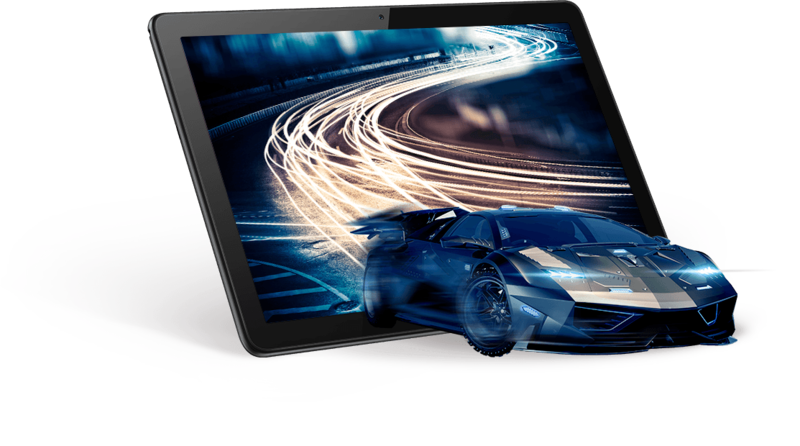 The octa-core processor with a main frequency of up to 2.36 GHz* gives you great performance while consuming less power. Memory size can easily be expanded by up to 256 GB using a microSD™ card. * The CPU is 4 x 2.36 GHz + 4 x 1.7 GHz. Based on Android 8.0, EMUI 8.0 is meticulously designed for a smoother, more intelligent and intuitive user experience. 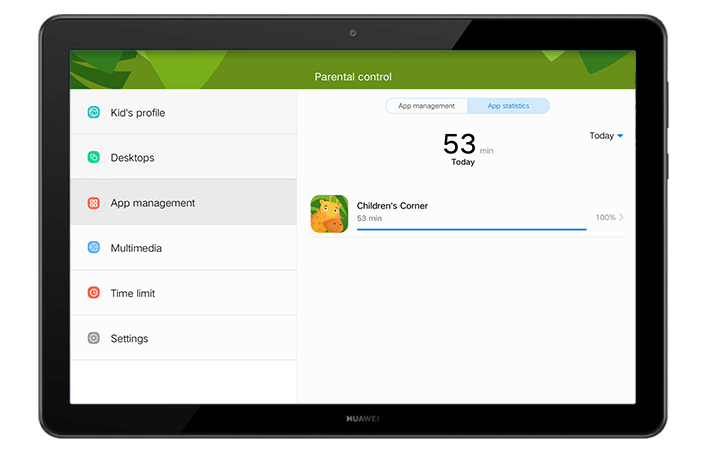 Your apps load faster and run without inexplicable pauses. Eye-comfort Mode reduces harmful blue light to create healthy reading conditions for you and your family. 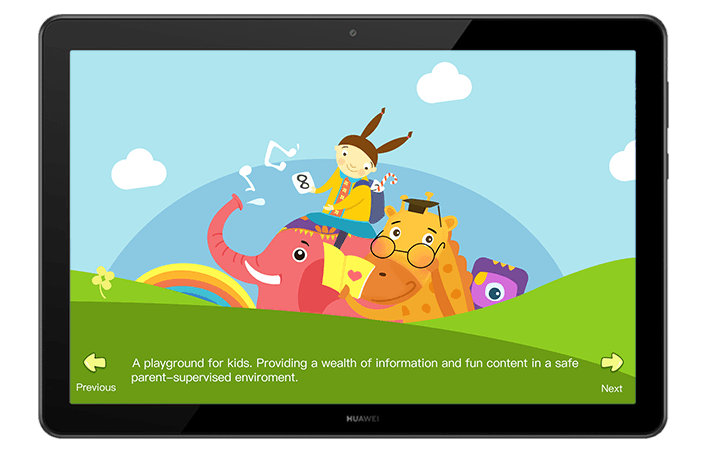 Children's Corner offers a fun place for kids to play and learn with plenty of specially designed applications. 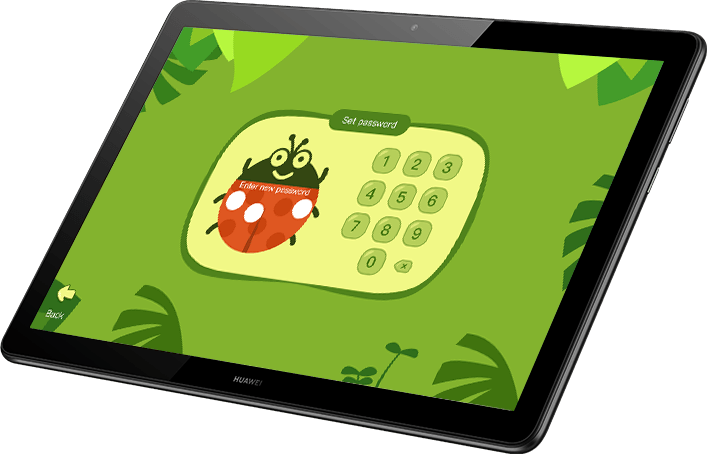 Easily manage what apps your kids can use and how long they spend on the tablet by personalising access settings for your little ones.